What better way is there to discover Paris from a fresh perspective and admire the city’s monuments and landmarks than by following the course of the Seine on a cruise boat ? At your leisure you’ll see, seemingly close enough to touch, the most emblematic monuments of the capital, including Notre-Dame Cathedral, the Eiffel Tower, the Orsay Museum and the Louvre. All aboard ! For a great view of the capital or a romantic dinner, an excursion on an open bateau mouche cruise boat is simply essential. In the sweet spring air, such a trip along the Seine creates a magical atmosphere in which the charm of Paris is more readily apparent than ever. Due to the frequency of the cruises, there’s plenty of scope for choosing the best time to suit your plans. Of course, our hotel’s team is at your service with all the necessary information. 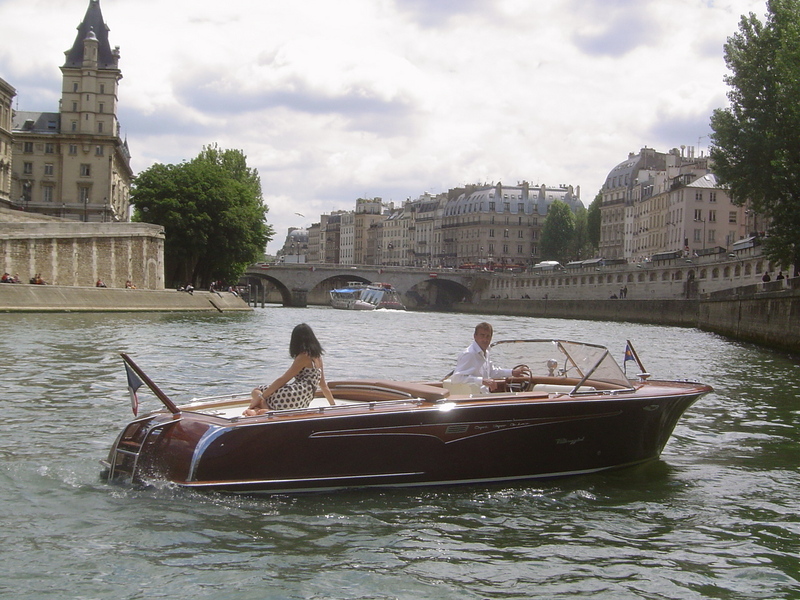 Treat yourself to an exceptionally glamourous ride by booking a private cruise on the Seine in a Riva boat. The brand has been synonymous with luxury and refinement since the 60s, offering an elegant combination of mahogany and chrome. At your own pace the pilot will take you to discover the most beautiful views of the capital and will help you organise a surprise picnic, romantic aperitif or cruise with friends. Wonderful moments you will always remember! The Seine offers the most distinctive perspectives on Paris. Take the time to discover or rediscover the City of Light, courtesy of the bateaux mouche or the Riva boat cruises.